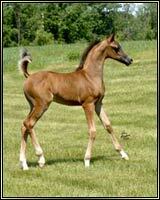 Arabian horses for sale, Arabian stallions at stud, and Arabian mares at Deer Haven Arabians. We started out with just one Arabian mare in 1992, Latifa El Masr+//, and it was another 3 years before we added our next mare, Savannah Breeze. Since that time we have added 5 more mares with quality bloodlines. In 2002 we decided to purchase our own breeding-quality colt and the search began. After viewing many colts we were fortunate to stumble upon the one that "made us look twice" at Southwind Arabians in Florida. We are now very pleased to be the proud owners of Sohlaris. Sohlaris had all the points we were searching for: beautiful head, long neck, great legs, smooth bodied, nice movement, high tail carriage and great bloodlines. His accomplishments include U.S. National Top Ten Junior Stallion and we couldn't be happier! 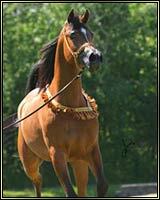 We are focusing on producing an Arabian or Half-Arabian with quality bloodlines and conformation that can show successfully in the halter ring and then turn around and excel in the performance ring. Our horses have been winning in Halter, Dressage, Hunter Pleasure, English, Show Hack and Costume. 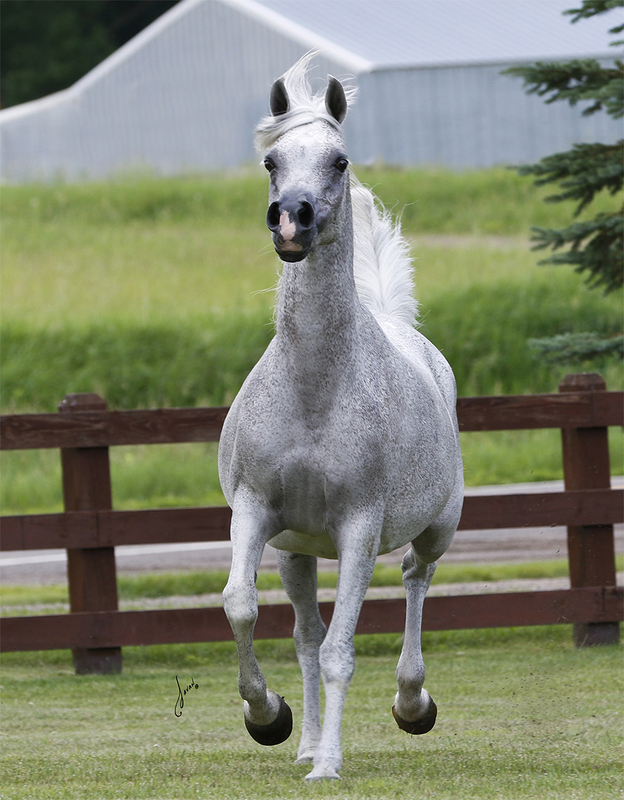 Please visit our Mares page to see what foals we're expecting and don't forget to check out the quality Arabian and Half-Arabian foals and performance horses we have for sale.